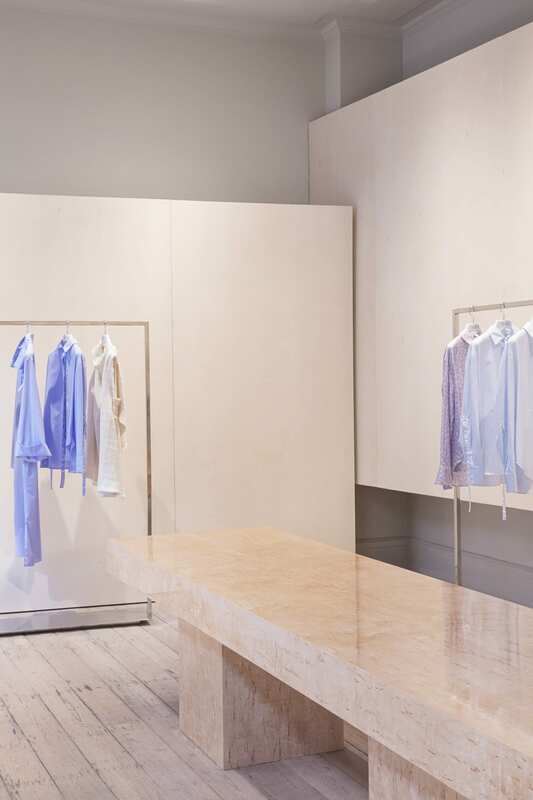 One of our favourite designers, David Thulstrup, has shared with us the flagship boutique for Mark Kenly Domino Tan, the first retail store for the talented Danish fashion designer who has won acclaim for his namesake label. 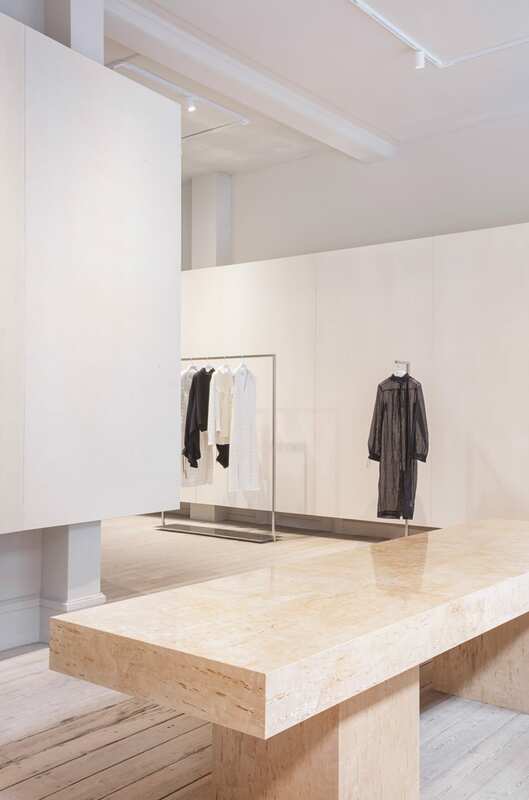 “As this is Mark’s first store, I wanted to create the perfect framework to highlight the minimalist, classic and feminine silhouettes he is renowned for,” says David Thulstrup, principal of the Copenhagen-based studio. Thulstrup kept the space neutral with a couple of strong architectural expressions that play to Tan’s structured tailoring. 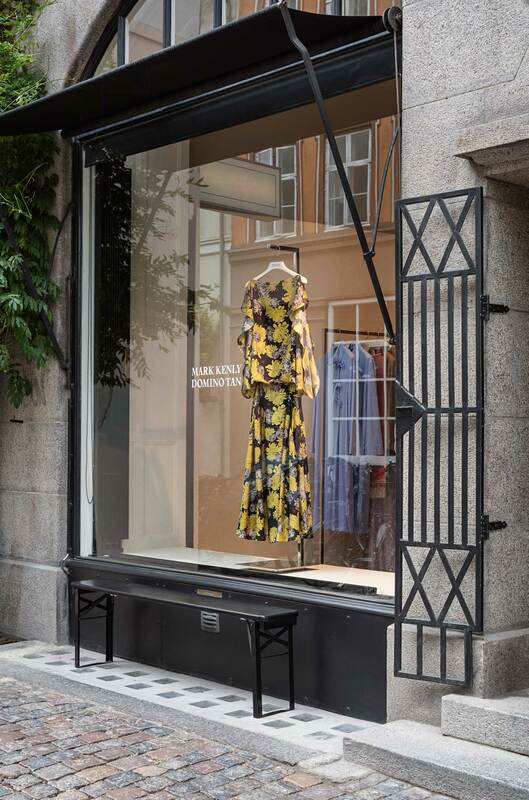 “It’s a beautiful early 20th-century store with walls that aren’t straight and beaten up wooden floors which I retained, and then I added these architectural interventions that become a modern focal point,” says Thulstrup. The first is a series of rectangular panels with granular surfaces in a parchment colour that are visibly detached from the soft grey painted walls. They frame the clothing racks so that the space recedes into the background. 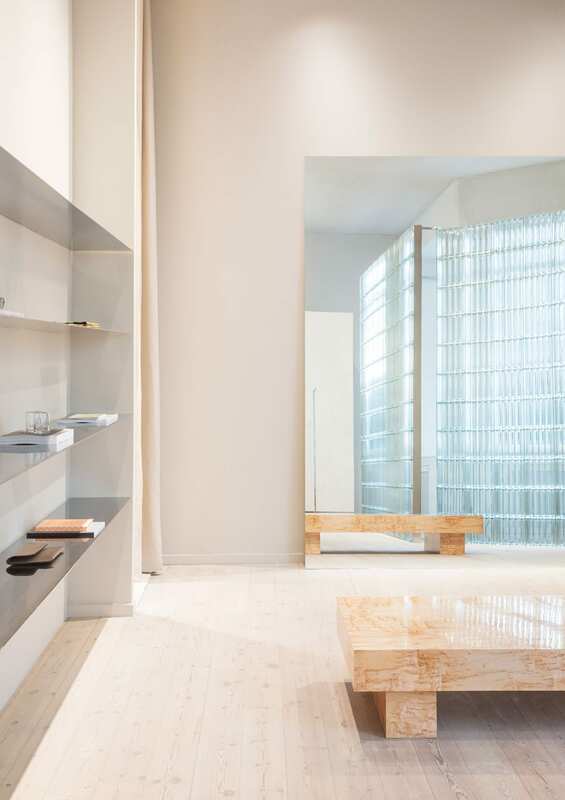 At the rear, a large wall of 100 square glass bricks allows natural light while making a monolithic statement. See other projects by Studio David Thulstrup on Yellowtrace. “Mark places a strong emphasis on materials, often using the fabric as a foundation of a collection, so we want to reflect that in our material choices,” says Thulstrup. Freestanding metal clothes racks with a minimalist profile were designed to best present Tan’s ready-to-wear collection. In the centre of the space is a large display table made of birds-eye birch veneer for accessories, books and objects Tan stocks to complement his clothing. 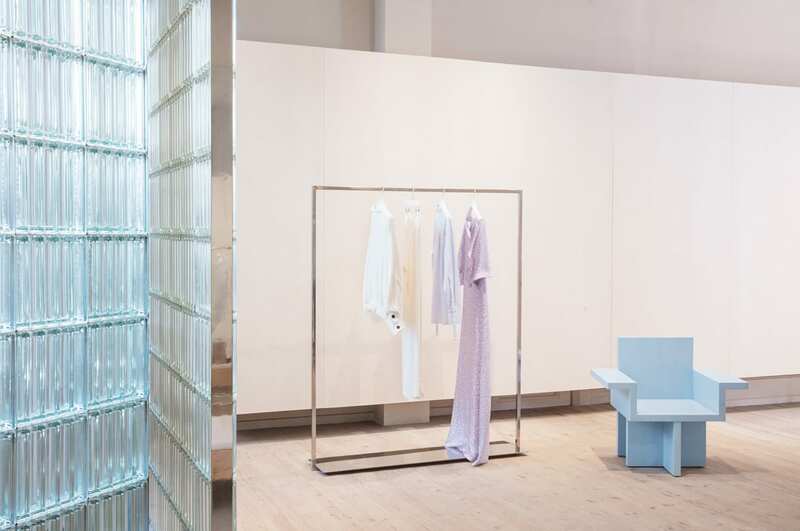 For the back of the store, Thulstrup designed a daybed covered in a soft white boucle fabric, inviting customers to make themselves comfortable. Mark Kenly Domino Tan is located at Store Strandstræde 9, Copenhagen. 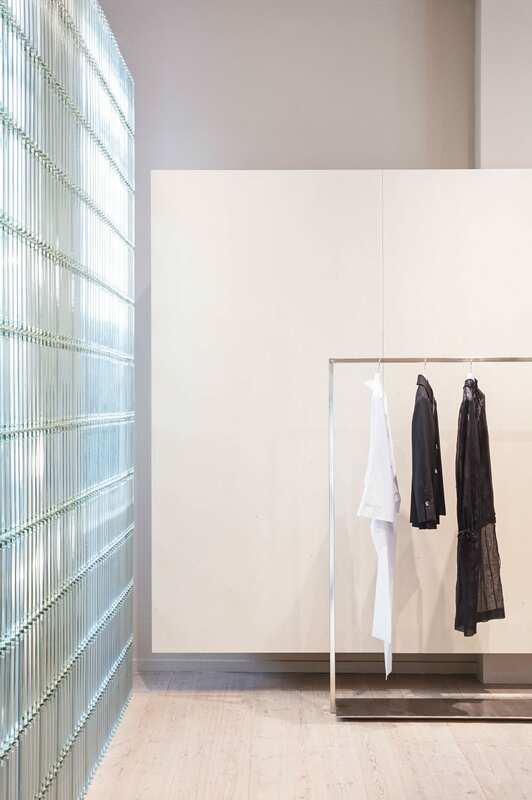 The post David Thulstrup Designs a Flagship Boutique for a Rising Star of Danish Fashion. appeared first on Yellowtrace.